Meet Carolyn Scott-Hamilton, the Healthy Voyager. 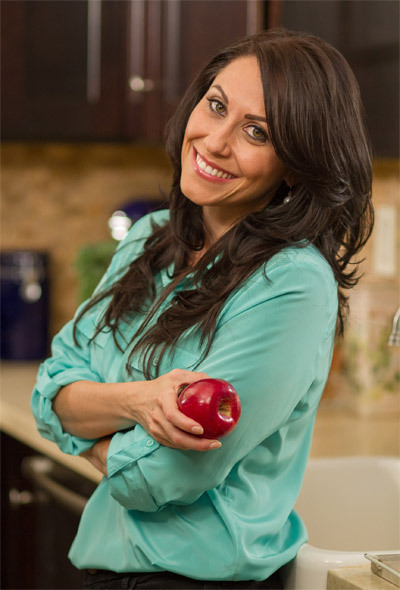 A holistic nutritionist and vegan chef, Carolyn has traveled and dined deliciously all over the world as a vegan. Her popular vegan and travel blog advocates a happier, healthier, and greener lifestyle, because life is a voyage, and we should live it well! Check out her vegan cookbook, The Healthy Voyager’s Global Kitchen, for a plant-based gourmet tour around the world that will make you hungry and inspire you to make better and healthier food. What Attracts You To Travel And How Does Travel Inspire You? I love exploring and meeting new people, creating new memories in places different from my usual surroundings and just breaking away from "the grind". Travel inspires by giving me a new perspective and a chance to relax, or at least change my environment for a little while, so I can come back refreshed, with gratitude for what I have at home. So far, my favorite destinations are Kenya, Colombia and Jamaica. All are so vastly different, but the people and the cuisine are all incredible! Being in Kenya gave me the opportunity to spend time with the Maasai tribe and learn about their cultures. While it may seem that the Maasai people live an entirely different life than we do, we really have some common ground. The photo taken in Kenya is one of my favorite moments of travel – in the picture, the chief of the Maasai tribe was walking me to the plane to say goodbye. You could feel the bond, the connection, and the joy we shared in the picture. I was born in Bogota, Colombia and grew up in South Florida. My fondest childhood memories are the road trips and summer vacations I took with my parents to visit our family and cousins in Colombia. Jamaica has everything you could possibly want for a holiday destination, from beautiful clear waters, lush hillsides, and magnificent Blue Mountains, to a rich artistic heritage and a lively beachside nightlife. How Does Being Vegan Affect Your Travel? Honestly, it never really has in my 15 years of being vegan. Early on, when it was tougher to find food, I always planned ahead by packing food or snacks and winging it when I got to my destination. Somehow I always got lucky. These days, it's so much easier and the vegan diet has really gone global. And even in places where there isn't specific vegan dining, there is always a veggie option. Can You Share Tips On Keeping A Vegan Diet While Still Experiencing Local Cuisine When You’re On The Road? Nowadays, the word vegan is very much part of the mainstream. But worldwide, I learn the phrases that I need in a particular language that lets them know I don't eat meat, poultry, fish, dairy or eggs. I also look for vegetable dishes that I'm familiar with from popular ethnic foods available here at home. I have found that people are always willing to help out and accommodate! Any Other Tips On How You Keep Healthy While Traveling? I always suggest drinking plenty of water, bringing your own reusable water bottle, shopping the local markets so you can pack your own meals and snacks, and wearing comfy shoes! Probiotics are always helpful when you’re on the road. They promote digestive health and can help minimize issues related to food allergies, environmental sensitivities, and upper respiratory viruses while boosting the immune system.